The story of my lifelong dream as it happens by Ivan Lees. 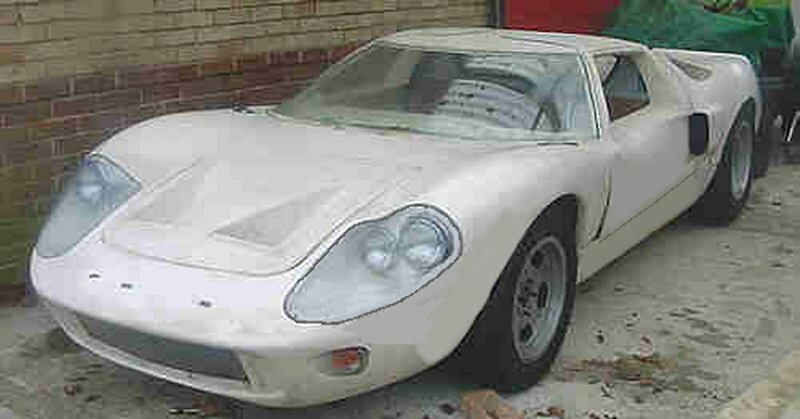 The part completed kit was purchased in 2003 from an enthusiast who had acquired too many domestic commitments to complete the KVA Mk III GT40. 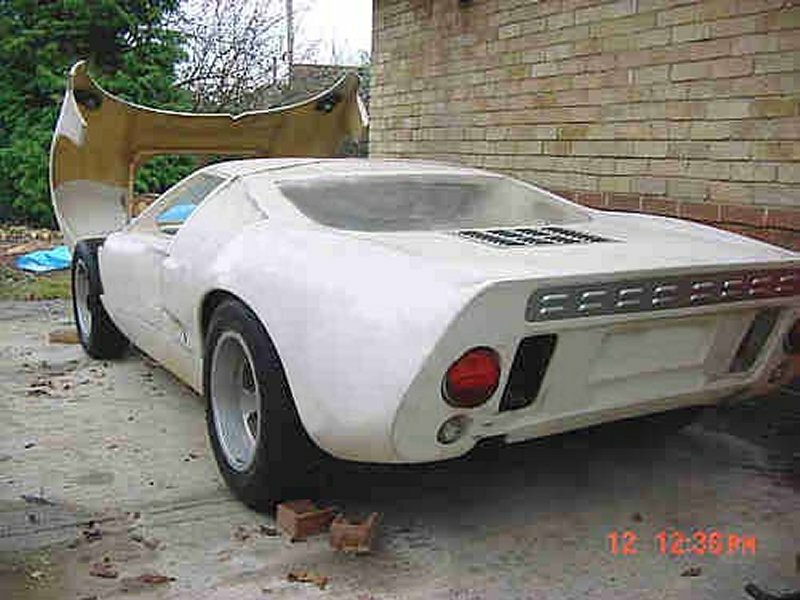 These three photographs are the original pictures from the 'For Sale' web site and show the kit of parts that was bought from the previous owner. The rolling chassis had all of the fibreglass panels fitted including the doors on their hinges but no catches or glazing. The suspension consisted of a Ford Cortina front sub-frame complete with rack and pinion steering and a strange looking rear suspension with trailing arms. I understand that this rear suspension type is an early KVA that used VW hubs and drum brakes. The rack and pinnion steering box and pedal box were also fitted but the steering column was not connected to the steering box. The rolling part of the rolling chassis was completed by a set of four stud Slot-Mag wheels. The headlamps, front direction indicators and rear lights were all in place but not wired. There were many other parts that had been collected over the years including a reconditioned Ford 289 cu in engine from an AC Cobra, Renault 21 turbo transaxle (UN1) and adaptor, Holley 600cfm carburettor, old style twin points distributor, a pair of Ford Granada front hubs with ventilated discs and a collection of other useful parts that I am still trying to identify. The fuel filler caps had been bonded into the front body molding and a fuel tank was fitted in front of the front suspension. 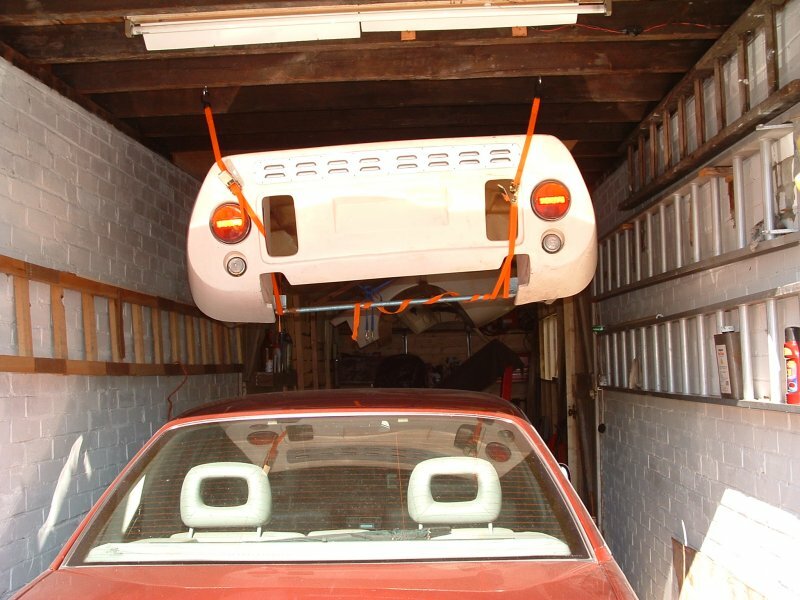 The whole shooting match was transported to my workshop on two trailers, a car transporter trailer carried the rolling chassis and a small trailer carrying the engine on an engine stand. 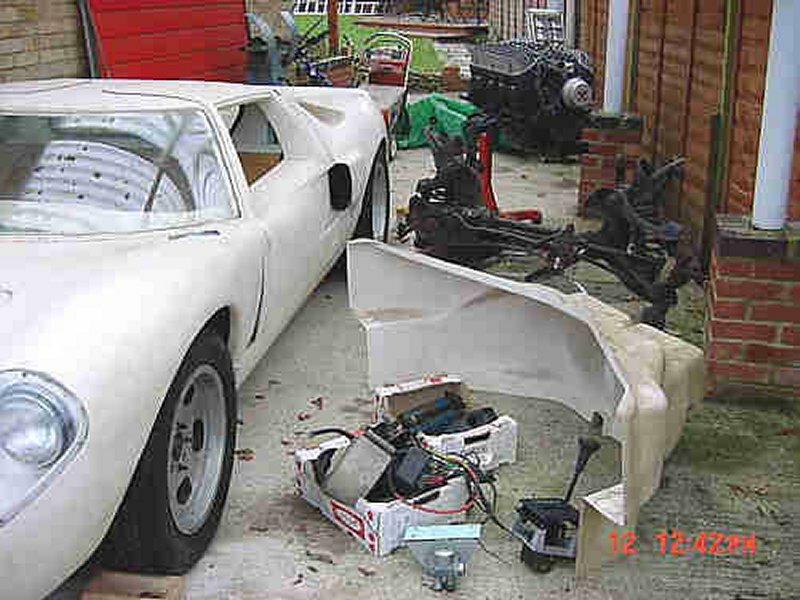 Because of the restricted space in the workshop I had to remove the front and rear body sections to give me a reasonable amount of working room. 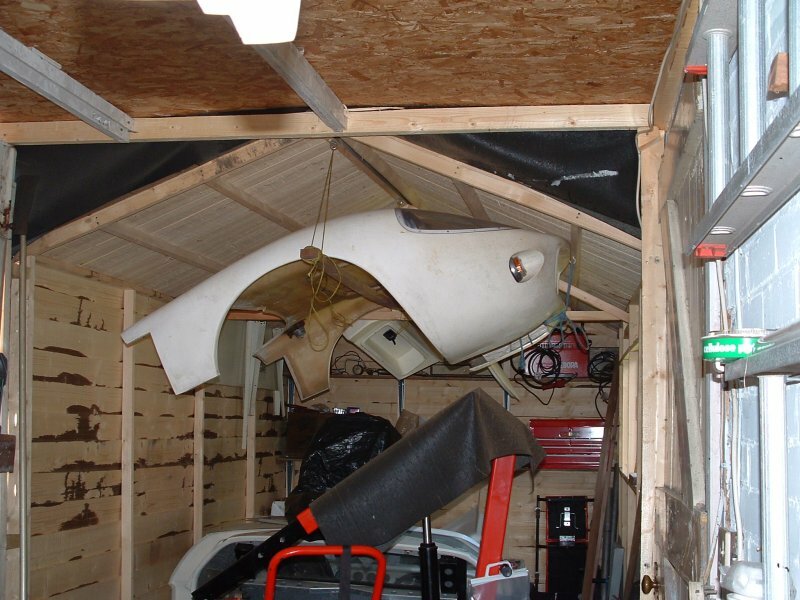 The front section and the drivers door are suspended from the roof of the extension shed that I call my workshop. The drivers door had to be removed to allow me to gain access to the inside of the car because of the restricted width of the workshop. This site is currently under construction. Please keep looking and as the work progresses the site will be updated.